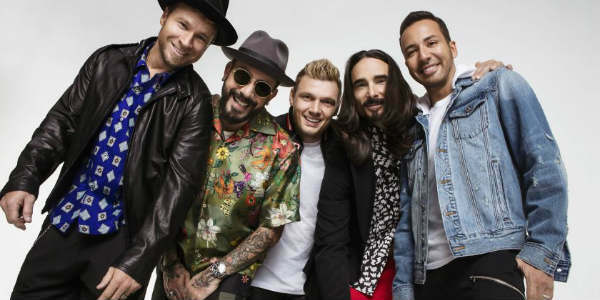 The Backstreet Boys have announced their first and biggest arena tour in 18 years, and it includes a stop at Orlando’s Amway Center on August 24, 2019. After 14 months of setting and breaking records in Las Vegas, BSB’s residency, “Backstreet Boys: Larger Than Life,” comes to a close on April 27, 2019. Two weeks later, the band kicks off their three month-long tour, in support of their latest album, “DNA,” due out January 25, 2019, via RCA Records. With this tour announcement, and to get fans excited, BSB released their new single, “Chances,” a Ryan Tedder and Shawn Mendes penned track. Every ticket purchased to the headlining world tour includes one (1) physical copy of the Backstreet Boys’ “DNA” album. Tickets start at $26 and go on sale to the general public Wednesday, November 14 at 10am. They are available at AmwayCenter.com, Amway Center box office, Ticketmaster retail locations, charge-by-phone at 800.745.3000 or at Ticketmaster.com.